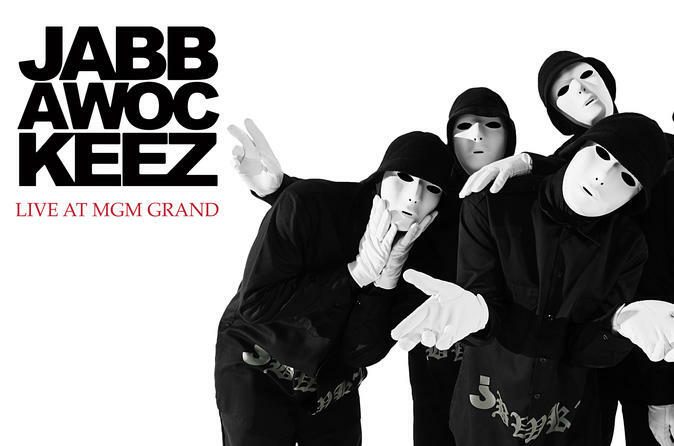 Check out the hip-hop dance team Jabbawockeez in their show Jreams at the MGM Grand Hotel and Casino on the Las Vegas Strip. Winners of the 'America's Best Dance Crew' TV competition, the all-male group break-dances to a variety of old and new songs in this spirited show filled with light and color. Choose from early or late performances, and upgrade your ticket to get a free t-shirt or other souvenir and the chance to meet and have a photo with the group. Make your way to the MGM Grand Hotel and Casino in Las Vegas to see the Jabbawockeez hip-hop dance troupe perform at their own custom-built theater. Winners of the first season of the America's Best Dance Crew TV competition, the silent but animated eight members of the group wear similar white gloves and masks but different-colored costumes as they perform elaborate, acrobatic dance routines during their show Jreams. Marvel at the precise moves of the energetic dancers as they spin, somersault and roll to music by artists such as James Brown, Queen and the Beastie Boys. They move effortlessly across a stage set with ramps and video panels, pile into a pretend car, become part of an old-school video game and serenade a woman from the audience during their engaging 75-minute show that will put you in the mood to dance!